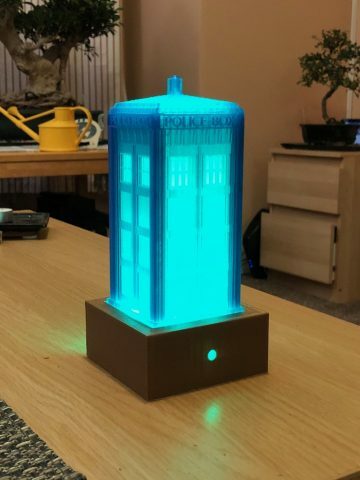 TARDIS bedside lamp #3DPrinting #3DThursday « Adafruit Industries – Makers, hackers, artists, designers and engineers! Just your common-or-garden TARDIS bedside lamp. I used Florence Tech Translucent Blue for the top, Gold for the base, and a vase mode Mattehacker white for the diffuser.